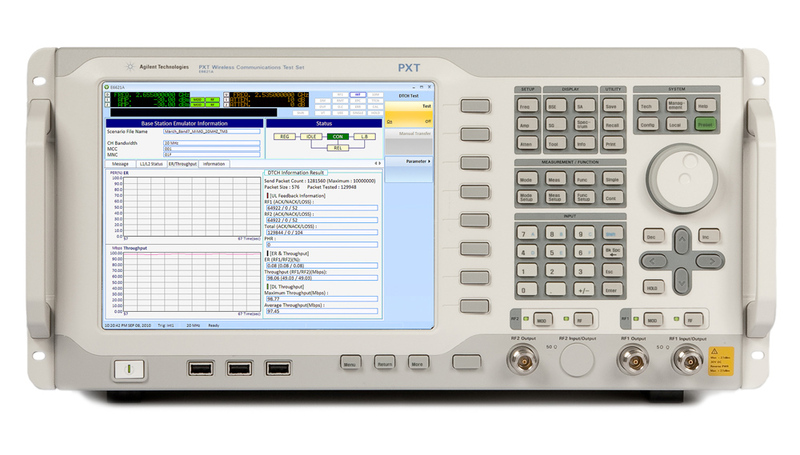 Agilent Technologies Inc. (NYSE: A) announced that its N6070A-Series Signaling Conformance Test Solution for LTE on the E6621A PXT Wireless Communications Test Set has met the industry's Test Platform Approval Criteria (TPAC). The Agilent N6070A series gives users the ability to download regular software updates that incorporate the latest protocol test cases developed by European Telecommunications Standards Institute (ETSI) for the Global Certification Forum (GCF) and PTCRB. Agilent's N6070A Series with the Agilent E6621A PXT Wireless Communications Test Set is designed for use throughout the LTE UE design and verification lifecycle to enable delivery of reliable protocol solutions. With the N6070A Series, UE and chip-set makers can meet their development, regression, certification and operator acceptance test needs. N6070A users will now have access to validated test cases for 80 percent of the work items relating to Band Class 13. "TPAC certification is an exciting milestone for our protocol conformance test solution," said Garrett Lees, marketing manager, Mobile Broadband Operation, Agilent Technologies. "We will continue to rapidly expand our coverage to further align with GCF and PTCRB requirements for certification of LTE devices." Information about Agilent E6621A PXT wireless communications test set is available at www.agilent.com/find/PXT. PXT images are available at www.agilent.com/find/PXT_images. Information about Agilent N6070A series signaling conformance test is available at www.agilent.com/find/N6070A. Agilent's LTE design and test portfolio is at www.agilent.com/find/LTE. The Agilent backgrounder "Understanding LTE" is available. The book "LTE and the Evolution to 4G Wireless: Design and Measurement Challenges" can be ordered at www.agilent.com/find/ltebook.